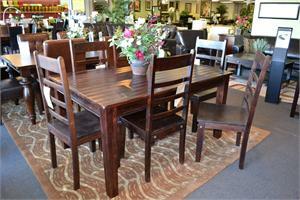 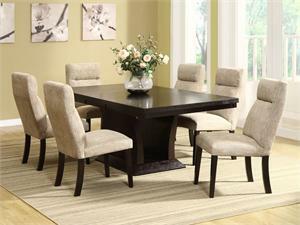 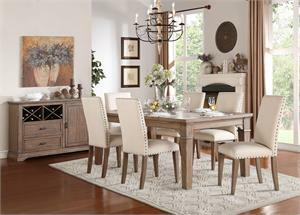 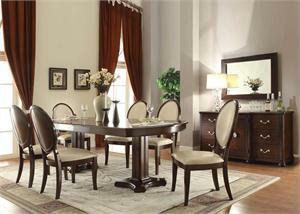 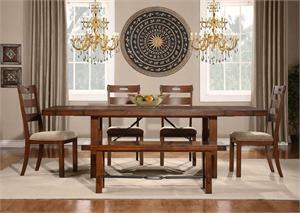 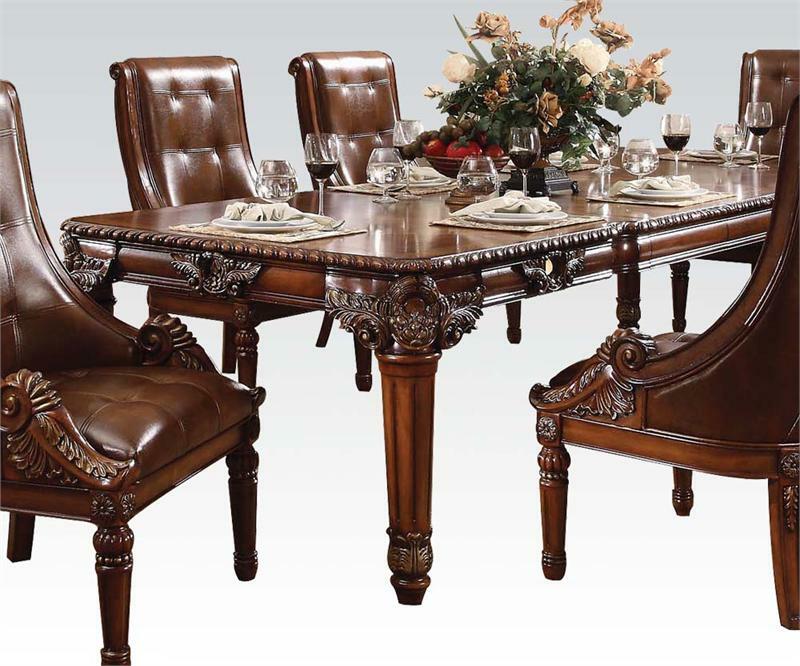 The graceful elegance of our Winfred collection makes every meal a celebration. Expertly crafted of solid hardwoods and resin with selected veneers, then finished in a multi-step, hand-rubbed rich cherry finish. 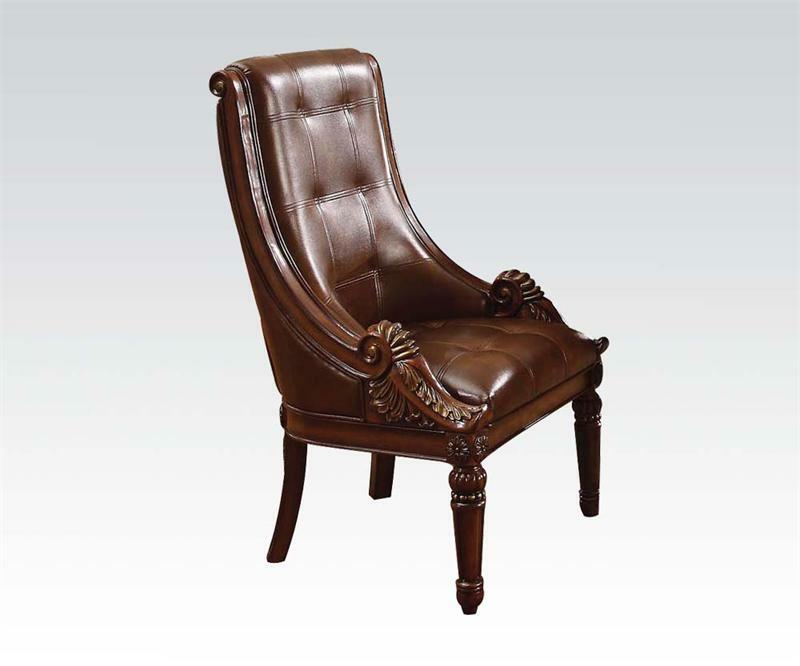 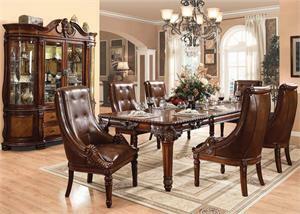 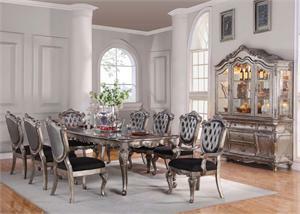 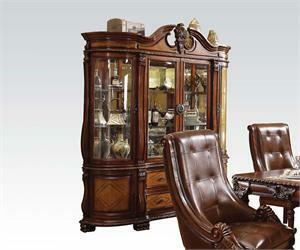 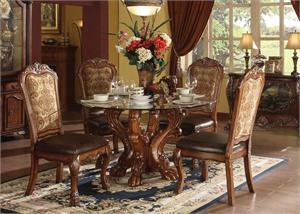 Every piece is finely detailed with ornate carving look and the handsome chairs are upholstered in leather-like material.